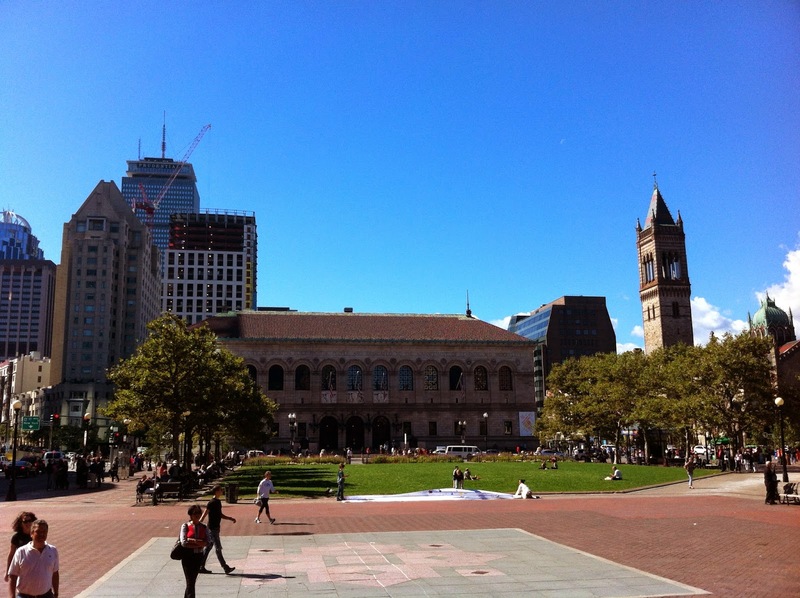 The city of Boston was very much on my mind yesterday. It's been so inspiring to see how the victims and their families have thrived and the way something so tragic can bring out the very best in people. 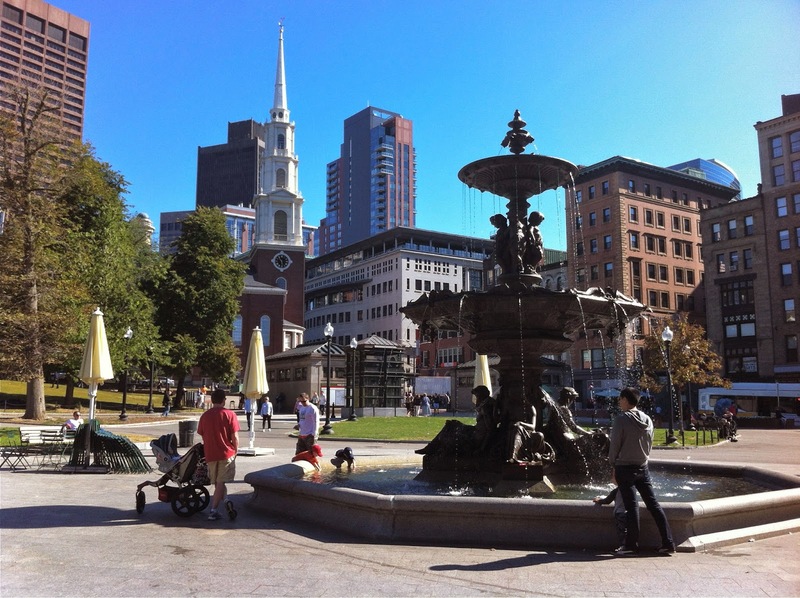 Chris and I visited Boston for the first time last fall and we absolutely fell in love with the city. The old and the new come together so beautifully and every street has so much character. The weather was absolutely perfect and we actually got to experience what fall feels like! 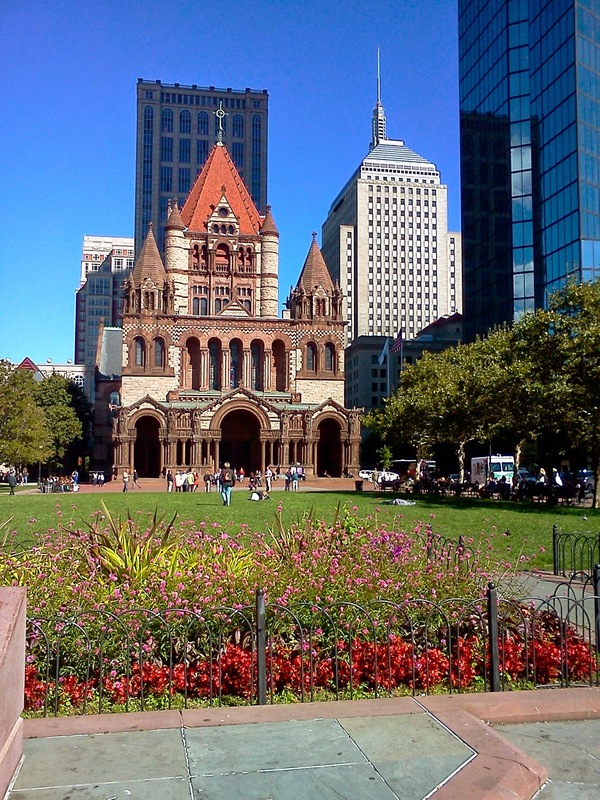 Boston Public Library and Old South Church from Copley Square. 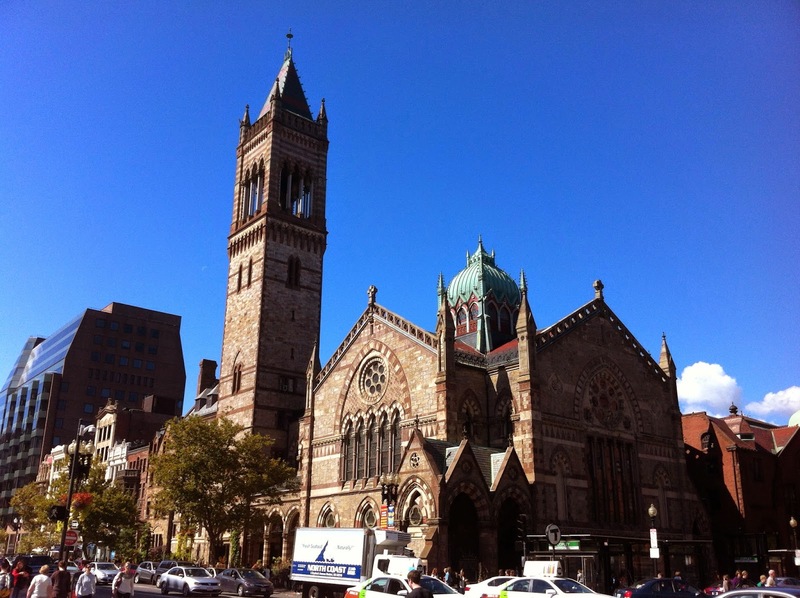 Old South Church on Boylston Street. 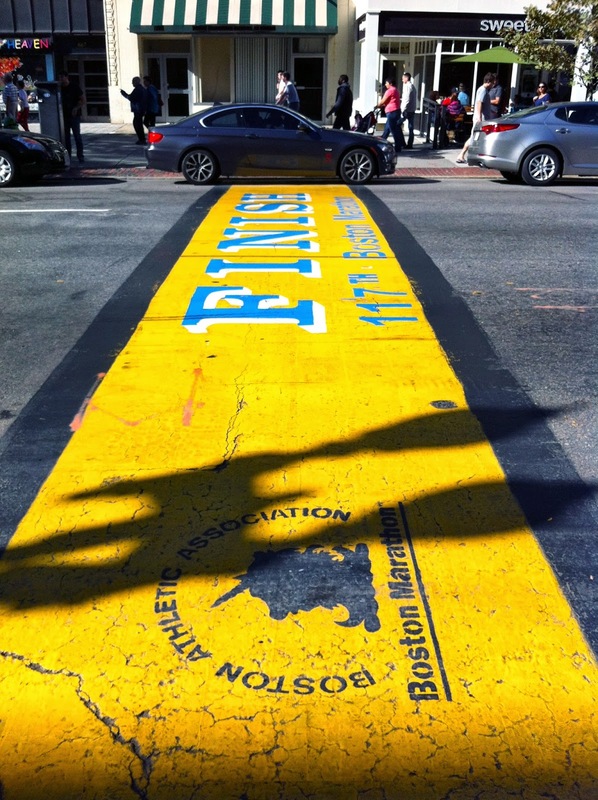 Boston Marathon Finish Line on Boylston Street. 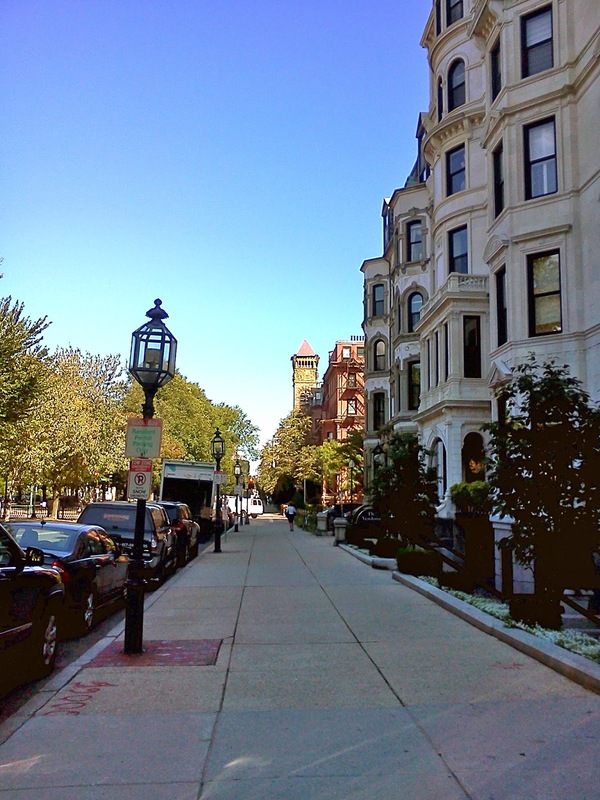 Strolling down Commonwealth Avenue in Back Bay. 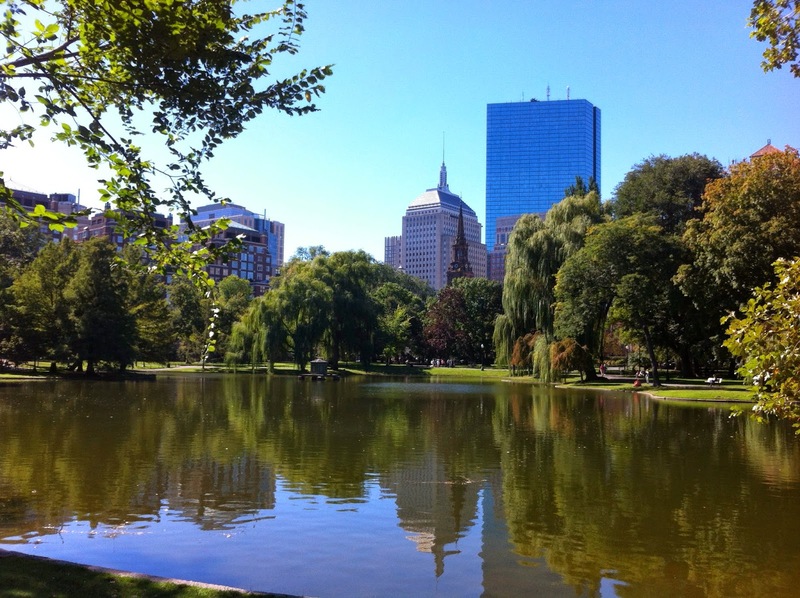 If you've never been, add Boston to your travel bucket list!